This adult pattern collection contains six patterns in their signature, modern look. There are 4 patterns for women, a very wearable jacket for a man and a circular scarf. 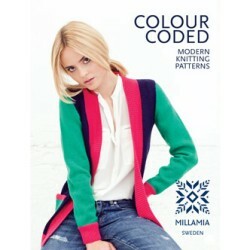 All are knitted in MillaMia's beautiful merino wool.